Finding the right artwork for t-shirts that you print can be challenging unless you know a few tricks. Whether you have a DTG (Direct to Garment Printer) or print t-shirts using some other way, you’ll always need a constant stream of great artwork to make your business stand out from the rest. All of the existing artwork for t-shirts is owned by someone. For photographs, images or any other digital art, the person who created it owns it. And in most cases they are the one who must give you permission to use the photo, clipart, or image. However, like almost anything online, there is always some exceptions. There are businesses or companies that will hire a photographer or graphic designer with the intent to resell their work. By paying the artist, the company will often buy the rights to use their images or photos exclusively. This is called stock photography. Photographers will often sell their work to stock photography websites, who in turn make the images available for public use. Although some images will be available for free, it is more common that they will charge for a subscription, or charge a set price for an individual artwork download. This is probably the best way to get artwork for t-shirts to use in a direct to garment printer or t-shirt transfer system. That is, unless you want to develop your own graphics. What about Altering the Artwork? Of course, you can alter an original image easily, but you’ll probably not want to do that too often. If your artwork for t-shirts becomes a big hit, you will have to contend with paying royalties from the copyright holder. If you publish the artwork without the proper rights you could find yourself in some legal jeopardy. So it’s always better to work with reputable stock artwork companies, or purchase the rights. An example of an artist who made changes to a photograph and got themselves in hot water is the case of Shepard Fairey and his “Hope” poster of Barack Obama in 2008. Fairey had to defend himself against claims that the poster was “perpetuated illegally” using a photo owned by the Associated Press. In an ironic twist, Fairey was required to make other artists stop using his images with same techniques he was using. Check out the following sites who offer what is called royalty free artwork as long as paid services. With royalty free, often all you have to do is recognize the artists in order to gain rights to use their work. Sometimes even that is optional. Depositphotos has thousands of royalty-free vector artwork (high quality) at extremely low prices. Their vectors are of high quality and the selection is marvelous. 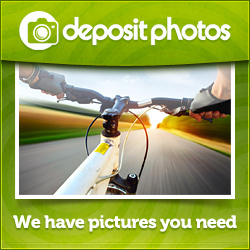 We use DepositPhotos.com internally for some our online projects as well as for the basis of direct garment printer artwork because of their mix of vectors and photos that are great to use for web work. You also get a few free weekly designs that are themed for the time of year or a single topic. Valentine’s Day, St. Patrick’s day, etc. Vectorstock.com is one of the biggest vector databases on the web and your sure to find something to make you and your dtg printer look good here. Shutterstock has over 35 million stock images, vectors, and video clips. You can browse by category, and sign up for their free weekly newsletters which includes lots of free content that they send per week. Additionally, the site has a section of free vectors, too. iStockphoto.com is another huge site that specializes in illustrated images. They have delightfully quirky designs and visually appealing images that are very unique, yet professional. If you’re looking for an infographic or anything of that sort, this is the site for you. We use iStock internally as well for some of our print work and e-mail marketing. Graphicstock.com runs on an interesting premise: rather than paying per vector, you simply pay a monthly price to download an unlimited amount of vector images. But here’s the scoop: they have a 7 day free trial which includes unlimited downloads. So if you don’t want to pay that monthly fee (who would? ), simply download the trial and download as many images you need. Clker is a completely free website. They offer royalty-free vector clip art. You can search by genre, like animal or art, and by colors. But don’t get too excited – the images are just not that good! The reason it’s free is because Clker is an online community, in which users upload and share their own images. Another huge website, Getty Images has all the royalty-free vectors, illustrations, and icon sets you could want. You can choose from a range of styles, from hand-drawn to sleek and modern. All the stock is available for one monthly price. This site is particularly good for photos – but not very budge friendly. 123rf.com has over 22 million royalty-free stock photos. They also have audio, video footage, and more. Stock images start at $0.49 per image. It’s also a GREAT place for blank t-shirt images to use on your website! Stock Free Images is the largest web collection of free vectors and images. It is up to over 1.8 million images to choose from. The downside for t-shirt printers is that it’s ALMOST all photos – contributed by amateur photographers. So, some good stuff in there, but be prepared to look for it. Which Stock Artwork Company is for You? As you can see, there are tons of options for royalty-free images online that are suitable for direct to garment printers. Which website you choose will depend on how much you are willing to spend. Still, any singular site should have enough images to satisfy your needs.